Gmund Cotton Wedding White 3 5/8 x 5 1/8 envelopes are made from 100% cotton rag fibers and features our distinctive Euroflap design. Luxurious & soft texture that you can not help but run your fingers over! 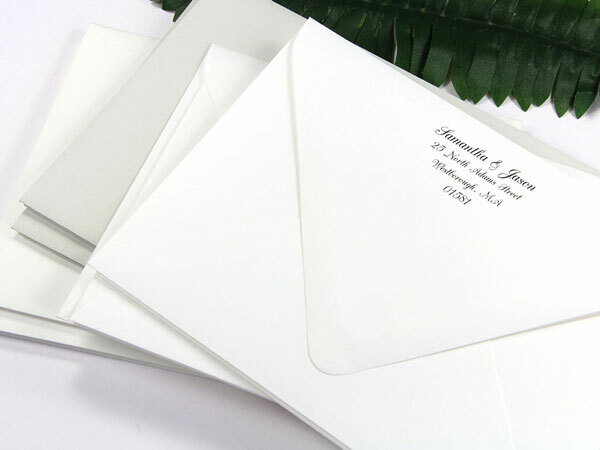 A1 size cotton envelopes are designed for invitation RSVPs and note cards. Order these envelopes blank or printed, and if you are printing at home, our in house print tests have determined that these envelopes print great with both laser and ink jet technology.